Ok, there are very few things that literally floor me beyond belief, but this TRE exercise did. Nothing could prepare me for what happened when I performed the exercises in the video I have included down below in the body of this post. I started out with the recommended 15 minutes on my timer. With my feet on the floor, I started to part my knees slightly wider than my feet. Experiment a bit with how wide to go with the knees, you will know when the tremors begin how far you need to let your knees drop apart. Then surrender to it and let it take your body where it needs to go. The shaking and jumping that occurred are not even describable. As the practice went on the tremors went all the way to the top of my head violently shaking me from side to side as though someone had a hold of me and was doing it. I can't recommend this practice enough and I plan to be doing it a lot. OMG! is all I can say! Try this you won't be sorry you will be healed. 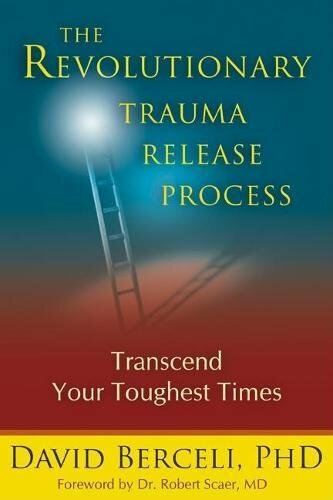 What is Trauma Release Exercise? Trauma Release Exercise (TRE) is an amazing yoga technique that has unbelievable health benefits. If you are a person who holds a lot of stress in your body or you suffer from Post Traumatic Stress Disorder (PTSD), this simple method can heal you. TRE is an innovative series of exercises that assist the body in releasing deep muscular patterns of stress, tension, and anxiety, caused by trauma. The exercises safely activate a natural reflex mechanism of shaking/vibrating in the body. This response encourages the body to come back into it's natural state of balance. The reflex muscle vibrations generally feel pleasant and soothing. After doing TRE reflex muscle vibrations people report feelings of peace and well-being. TRE is a self-help tool that, once learned, can be used as often as needed throughout one's life, continuously supporting and promoting personal health and wellness through relaxation. How Can I Learn How to do it? There are many books available that teach the TRE method. Dr. Berceli's books for detailed instructions can be purchased online as well as instructional DVD's that can be downloaded to your iPhone. We have been taught from a young age to keep our emotions to ourselves. Unfortunately, all of this holding of energy has to be stored someplace and that place is in our psoas. Most people who have any knowledge of yoga understand that the psoas is a powerful muscle that holds emotions that we experience in life. It affects our breathing, movement of our hips, and connects the upper and lower spine together. Fortunately, now there is a technique that can release this pent-up emotion and set you free from past traumas that you are holding. Once you complete the exercises that prepare you for the release pose the quivering response will begin. For your first time, it is recommended you do not quiver for more than 10-15 minutes. You can repeat this process and work the time up longer as you go on. You can expect a range of emotions to come up, many people sob and cry as they release the psoas. It is not important to know what has been held there, in fact, that doesn't even come up. The purification you feel once you are done is all you will care about. Allow the natural response to happen, it most likely will start out with a gentle quiver which can intensify as the practice goes on. It is important to relax and let the process unfold. It's not uncommon for the tremors to become more aggressive and travel up the spine. Sometimes a person will begin rocking from side to side. Both of these things are normal and should be allowed to happen in whatever way feels right to you. I have included a very detailed video here that will show you how to induce the tremor response in your body. Watch the video before trying the practice. Play some relaxing music and find a private place for yourself to lay down where you won't be disturbed. Releasing the psoas is a very healthy thing for you to do. There is hardly ever a time where this muscle doesn't have demands on it. So much stress is stored in the belly and aside from that, it is holding upper and lower spine together. Releasing it is of the utmost importance. A tight psoas can be responsible for many back complaints. It can also keep your body in a fight or flight response, a chronic state of stress. What Actually is Happening Physically? This video will explain the more scientific proof of how TRE actually works. Take a minute to watch it here now. Everyone can benefit from TRE and this shaking mechanism in the muscles is part of our natural human behavior. This shaking process can remove everything from mild upset to severe anxiety whether it is caused by work stress, excessive worry, conflict in relationships, physical stresses or traumas from accidents. If you or your family suffer from any emotional upsets caused by traumas, PTSD, athletes, or everyday stresses of life, practicing TRE can change your life.